As a kid, I was not a fan of sloppy joes. My Mom didnt make them that often, but when she did, I was not a happy camper. 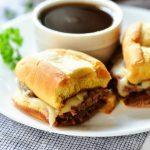 I remember my Grandma Jennings making them as well, but she called them ‘Mormon Burgers’. I have no clue why, but she did. I also refused to eat hers. Now as an adult, I LOVE them! And this is the recipe that changed it all for me. 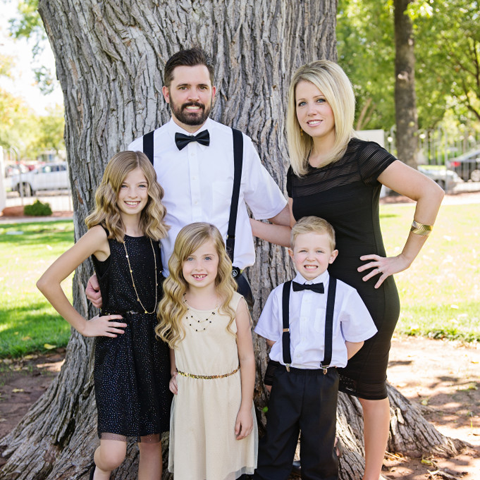 It comes from my favorite cookbook I talk about all the time, The Food Nanny by Liz Edmunds. I love how simple and totally delicious these things are. This is another dinner Kelsey asks me to make from time to time. She loves them just as much as I do. These Sloppy Joes are a family favorite. 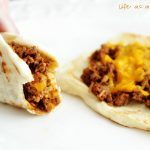 The beef mixture is packed with flavor! Melt the 1 Tablespoon of butter in a medium saucepan over medium heat. Add the ground beef and onion and cook until meat is no longer pink. Drain grease. Add the ketchup, water, brown sugar, worcestershire sauce, vinegar, chili powder, salt and pepper. Stir well and let simmer over low heat for 20 minutes. Butter the hamburger buns, if desired, and toast them under the broiler. Watch closely so they dont burn. Spoon meat mixture onto the bottom halves and cover with tops. Serve immediately. Serves 6. Freezer Instructions: Cook meat mixture according to instructions above. Let cool. Place in a freezer-safe container and freeze up to 2 months. To reheat: Place container in fridge to let mixture safely thaw up to 24 hours. Place meat mixture in a large skillet and cook over medium-high heat until thoroughly heated. Hi Holly! I don’t know what it is, but Sloppy Joes are just SO good! You are so good at comfort food. Sounds good. We love Sloppy Joes here too. My recipe is different though. I might just have to make mine in the next week and post it ’cause I don’t think I ever have. And then I might just have to give your recipe a try and compare. I love comfort food! Sounds good. I love sloppy joes! I love these. I like to put a slice of Kraft singles cheese on mine and Lance likes sliced cheese with Tabasco. I should make these soon. Thanks! I like making kid throwback recipes like this. Great post! 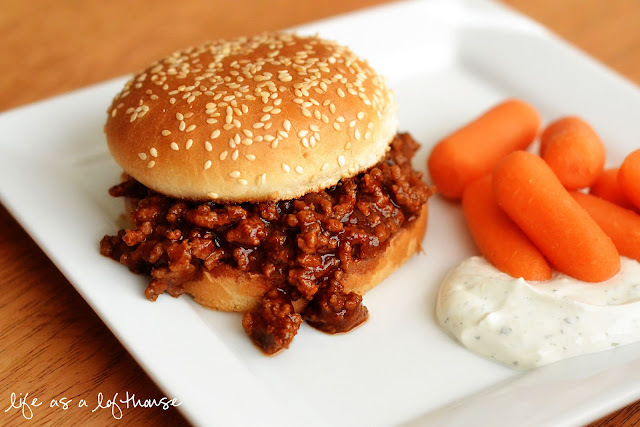 WOW…Awesome recipe…Make me drool here..
Goodness, I have always been a fan of sloppy joes! I haven’t had one in so long though, I need to add this to my meal plan and soon! I was ho-hum about them as a child, too…but it was probably because they were always made with a can of “sauce.” I have a feeling, I’d love your version!!! This recipe looks delicious. I could become a fan too. I’ve heard so much about sloppy joes…and NEVER knew what they were or what they looked like (I’m not American). I always thought they sounded gross…but these look yummy! I love mince that’s why I guess. Sloppy joes are the perfect comfort food!!! These sound like the ones mom used to make…but all I could remember was ketchup and brown sugar. Thank you so much for the awesome recipe!!! 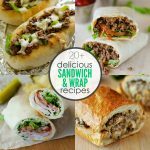 Came across your blog today and found a bunch of recipes I want to try now! So tonight I tried the Sloppy Joe. It was super easy, and really good. 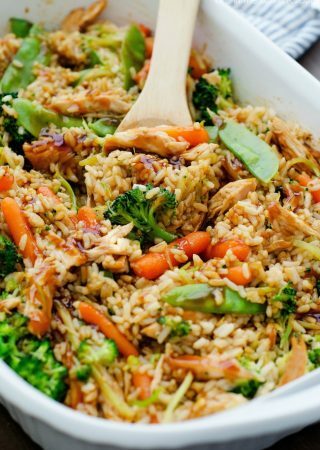 I did add about 1/4 – 1/2 cup finely diced mushrooms and 1/4 – 1/2 cup finely diced green peppers just to sneak in some more veggies, as well as 1 tsp of diced garlic. The only thing was it was a little runny, so next time I would maybe try adding only 1/4 cup water. But the flavor was great, and it was super easy so it will definitely be going on my list of repeat meals. Thanks for sharing, and I look forward to trying more of your recipes! My mom made these for me a lot growing up, she made hers from scratch too and I loved them every time!!! Will have to try this twist on the classic, Thanks! 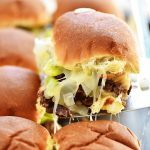 I’m not big on sloppy joes, but these were great!! Tons of flavor. We ate them with King’s Hawaiian hamburger buns. Could meatless substitutes also work instead of beef? My son is a vegetarian. Yum! Making these for dinner tonight! :)) I lost my go to recipe that I use lots so when I saw this one I bookmarked it. I’ve made a ton of your recipes & never once been disappointed! I’m a fan for life – lol! 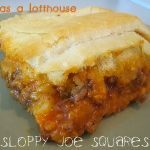 My family loves these sloppy joes! Can this recipe be doubled or tripled for large groups? Also, can it be made in the crock pot?